Opening Reception: Tuesday, July 10 from 6:00 p.m. until 8:00 p.m.
Run by the husband-and-wife team of Naoki and Kumi Uemura, Sara Japanese Pottery opened in 1989 specializing in Japanese tableware created by both Japanese and American artisans. Later the Uemuras expanded to showing and selling works of glass, bamboo, textile, lacquer, and even iron sculptures. Sara carries art and functional pieces created by well known artists, but the Uemuras also have a deep commitment to bringing up-and-coming artists’ work into the public eye. In celebration of Sara Japanese Pottery’s 30th anniversary, 30 artists of all walks of life gather to the newly established art gallery Die Firma. Generations both old and new will collide to showcase their work in both traditional and contemporary styles. This exhibition is not limited to ceramics; it will also feature paintings and sculptures as well. 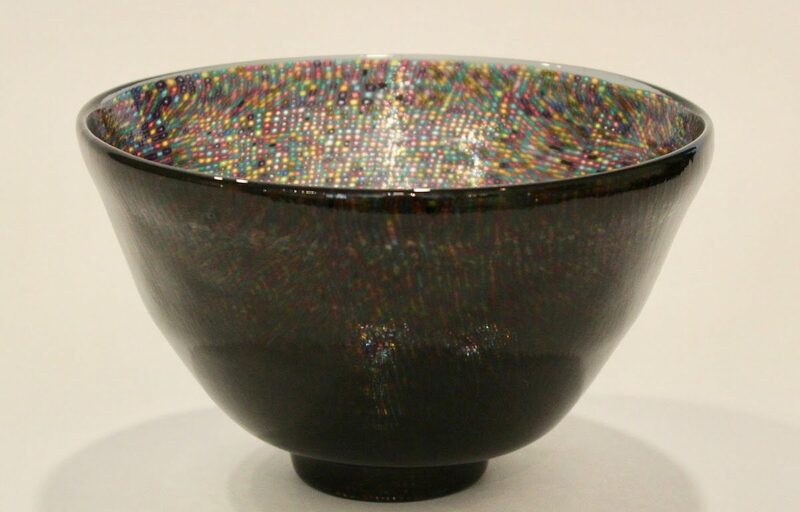 Japanese ceramicist Hanako Nakazato and Fujiko Enami, who works with murrine glass, will join Vermont’s Malcolm Wright, sculptors Paul Chaleff and Tim Rowan, and master blacksmith James Garvey at the opening reception. Wednesday through Saturday – from noon until 6:00 p.m. Please note that the exhibit is not at the store’s Upper East Side location. To schedule an appointment, please call Sara Japanese Pottery at 212.772.3243. For more information, please visit Sara Japanese Pottery’s website.